Featuring dream matches, thumbtacks, and one of the biggest run-ins of all time. Let me preface this list by saying that there has never been a real stinker of a Backlash. Some years have seen a weaker incarnation of the traditional post-'Mania PPV, sure, but there's no SummerSlam 1995 or King of the Ring 1995 equivalent (apparently 1995 was a slog). Backlash has almost always landed somewhere around the average-to-great range, thanks in part to the natural surge of momentum WWE receives after its annual April bonanza. Over the course of its history, fans have been treated to highly-anticipated rematches, brand new feuds featuring red hot debutants, and all manner of springtime chaos. If the Road to WrestleMania represents the most predictable part of WWE's calendar year, Backlash could be seen as the very opposite. Nobody's quite sure what to expect in the post-'Mania reshuffle, and SummerSlam is too far off to see many programmes set in stone. 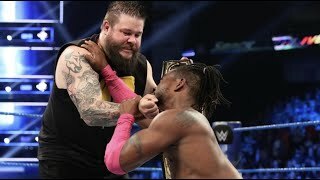 This slightly chaotic position means that Backlash has often provided some of the most exciting shows in recent memory - although naturally, one or two didn't quite hit the mark. From 1999 to 2009 - as well as last year's impressive return to the yearly schedule - we've ranked each Backlash pay per view from worst to best. Let's hope 2017's show is a worthy addition!